Whether I’m writing copy for a digital agency, SaaS startup or even an established business who hasn’t ever thought to collect feedback from customers, a lack of third-party proof is a problem that’s WAY more common than I’d like it to be. That’s because few things are more effective for improving conversion rates than being able to show testimonials, reviews, client lists and places you’ve been featured. 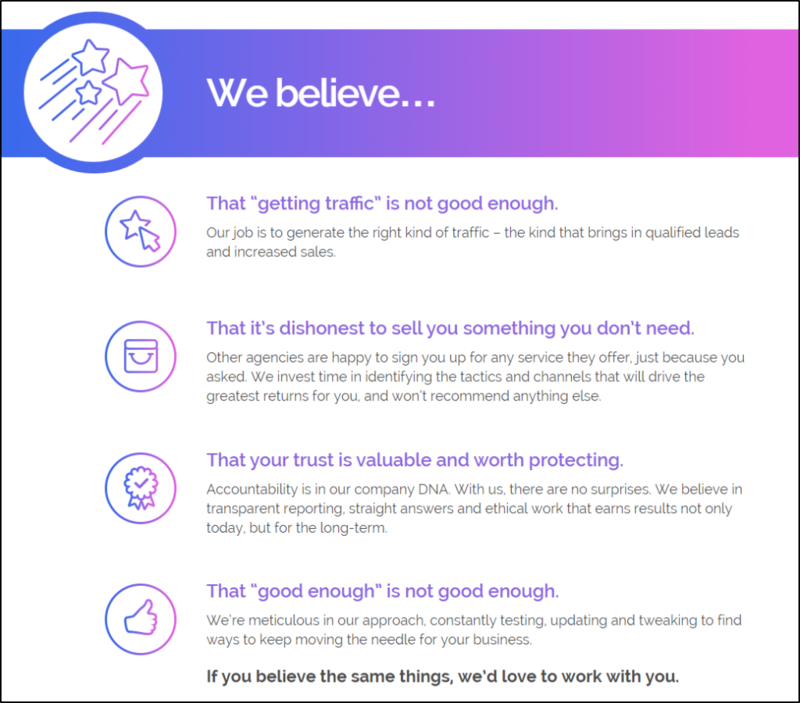 This kind of outside proof lends immediate credibility to your claims and gives your leads a chance to hear from people who’ve bought what you’re offering – hopefully, people like them. So what do you do if you have NONE of those things, but still want customers to trust you? 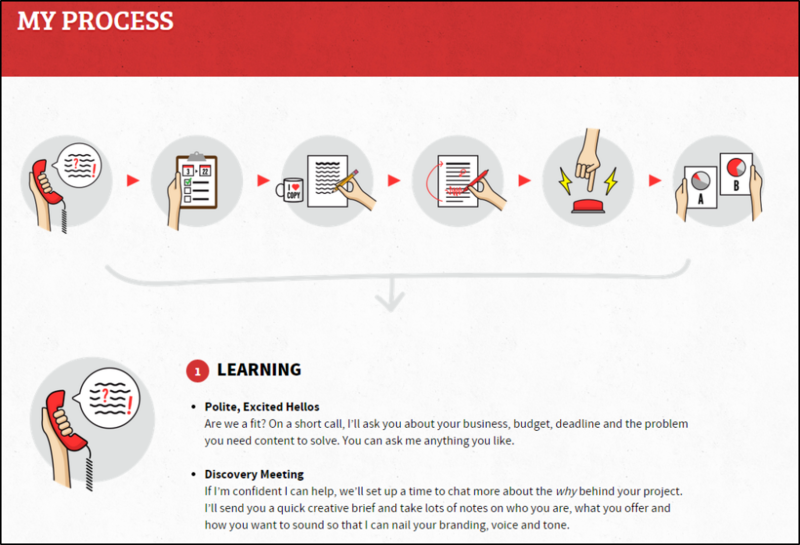 In this quick post, I’m going to explore four things you can do to make a connection with customers and get them to trust you, even if you can’t show them social proof. 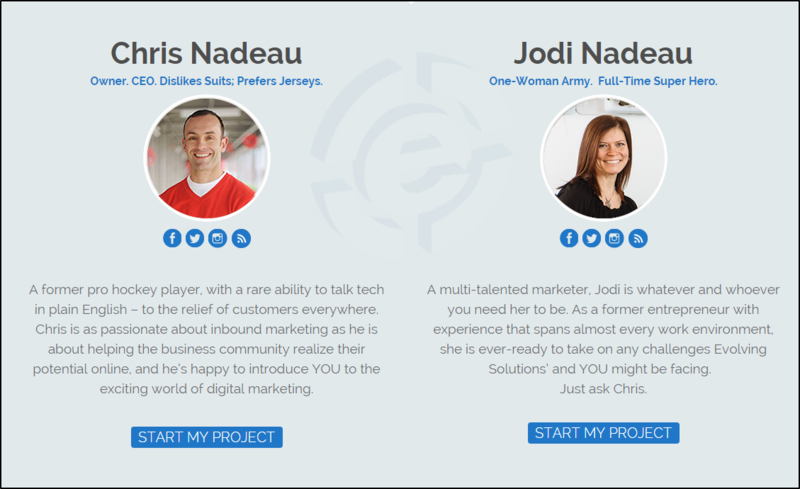 I’ll also show you real examples of each one that I’ve helped clients implement. Important: None of these are replacements for social proof. You should still be trying to collect as much as possible on an ongoing basis. However, each of these approaches will help put customers in a buying mindset, and you can even couple them with social proof to make them more powerful! If you want to show leads that you’re credible, explain how you do things and what they can expect when working with you. Step back for a moment and think about how many times you’ve gotten emails from people wondering what the “next steps” were or how they could “best work with you”. These aren’t polite formalities – customers are worried about how to engage with you – and this worry can keep them from moving forward. It’s not enough to claim you’re good at what you do or to tell clients you have a “meticulous process” – you need to back up your claim by laying it out for them. When a customer can see the way you approach problems like theirs, they take comfort in knowing that you understand where they’re coming from, what they need, and most importantly, how to deliver the results they’re after. For brand new buyers and those who have never tried a service like yours, there’s a lot of fear and trepidation surrounding what might happen next. Are they going to get a surprise phone call? Do they need to have certain things prepared before they can engage you? Are they at the right point to contact you – and if they are, what should they be ready for? By showing customers the step-by-step way that you plan to work together, they can “live” the experience mentally before committing, making it far less scary to commit. If a customer is comparison shopping (and don’t kid yourself – they are), showing your process gives them just a little bit more information about you than your competitors, and that slight edge might be enough to tilt things in your favor. BONUS TIP: If you’re a service business, show examples of the deliverables they can expect to receive at every step of the process. Once again, this helps them assess the quality of your work without actually having to hire you. 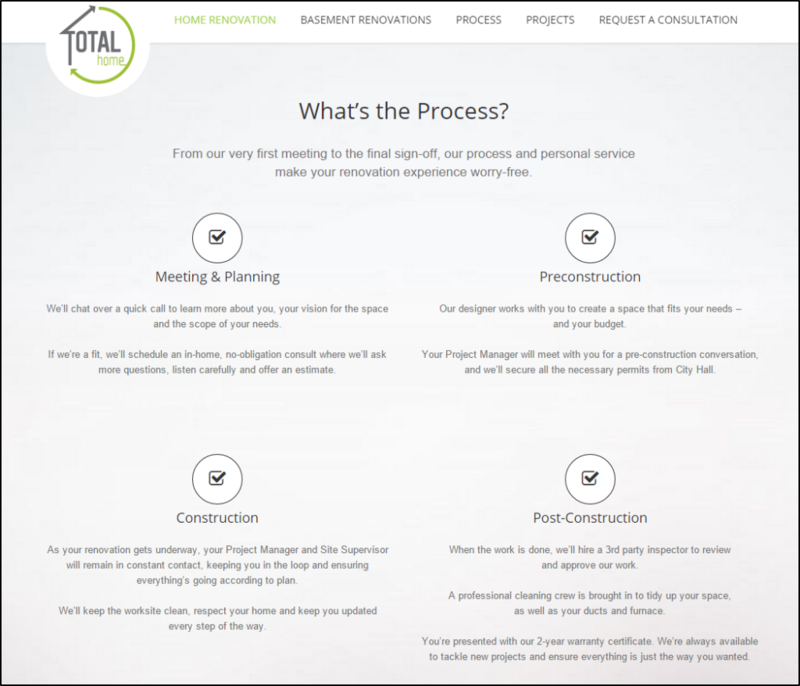 Three examples of this I’ve worked on are the process page for Minimum Inc, a mobile app developer (who also has a TON of social proof, including some on-stage mentions from Steve Jobs himself), Total Home, a home renovator, and my own process. In my case, as soon as I put my process up, lead quality went way up, questions went way down, and numerous times I’ve seen clients have actually printed it off! Psychology has shown us two very important things: We buy from people we like, and we like people who believe the same things we do. If you want to get in a lead’s good books, then mirroring their beliefs back at them is a good place to start. What’s important here is how you frame it. It’s not enough to say “Our Values” and spout off a generic list of things you care about (like “quality”) – you need to mimic the language of your customers and be specific about the things you stand behind. It’s also better if you can attribute the beliefs back to the reader by using “You” instead of we. I used the above for a digital agency client who are excellent at what they do, but relatively new to the scene. They’ve got some case studies, but they need more time and clients to get testimonials that really speak to the quality of their work. Notice the way I’ve written this – clear, simple statements in a checklist. This has the reader going through and ticking off their own mental boxes. I get them nodding in agreement, and just as they’re agreeing, I hit them with call to action that isn’t ultra-committal – an invitation to “Talk”. Pushing that button becomes a motion of agreement. The above is more centered on the business than the clients they want to serve, but I end the statements of belief with an invitation to work together, bringing it back to being about the customer instead of the company. 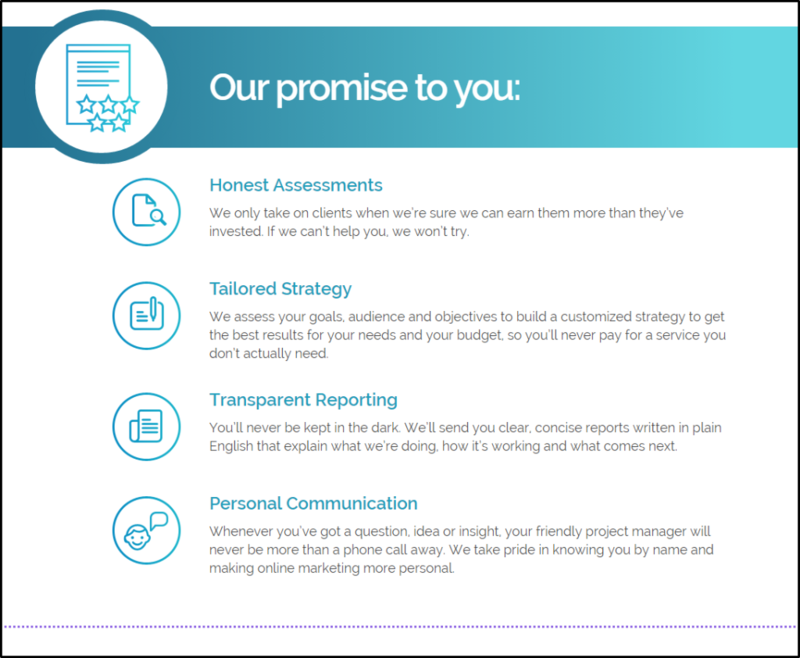 I also make each of the beliefs center around a deliverable to the customer – more traffic, honest service, transparent reporting and ongoing success. This makes the beliefs real to the reader instead of a shoulder shrug – I’ve shown how these beliefs will impact THEM. I’m really interested to see which of the two variants works better for getting customers to call! You’ve probably heard someone from an older generation talking about the good ol’ days, where a handshake was a promise and men were only as good as their word. When it comes to building trust online, that’s still true. Even if a customer doesn’t know you from Adam, they’re still likely to take a guarantee or promise seriously, because they know that there will be implications for you if you fail to deliver. It’s one of the few places in copy I really don’t mind using “We” – because it’s putting something on the line instead of yammering on about yourself. Importantly, AVOID HYPERBOLE. Do not make wild-sounding, generic promises like “The best experience EVER!!! !” – this kind of exaggeration destroys the “trust” element of a promise and sets BS detectors off like crazy. Be specific, attainable and deliberate about what you promise, and make sure it’s tied to a pain point the customer cares about. 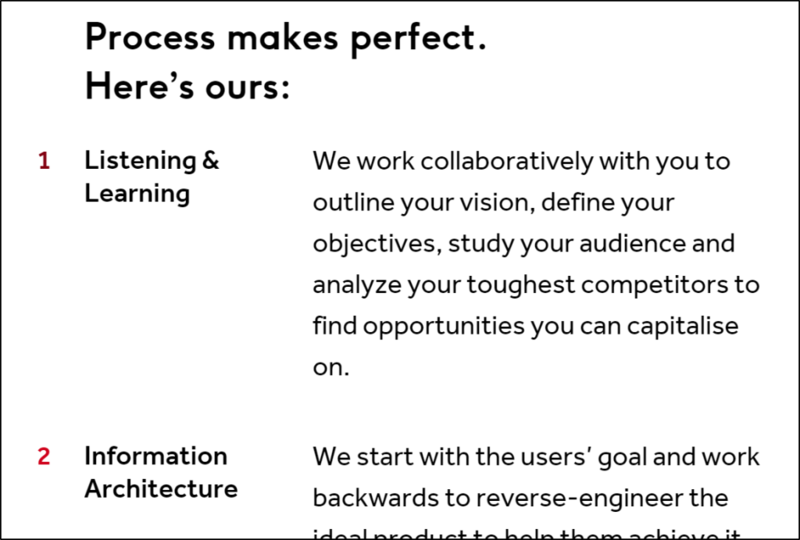 And each one of those statements can be preceded by “We promise…” and make perfect sense. Don’t be afraid to make promises well within your means to deliver. Customers are attracted to guarantees – whether that’s a guaranteed outcome, a guaranteed value, or a guaranteed aversion of risk. Chances are good that if a business owner is willing to put their face on their website, they’re also willing to stand behind the service they provide. This one can get tricky – like it or not, we do judge a book by its cover and we are biased towards beautiful people. There can also be racial bias or prejudice, and a low-quality or unprofessional photo will send the wrong message about who you are and what you can do. BUT – knowing all that, showing your face and the faces of your team members is a way to give leads an anchor point that tells them “There are real people behind this business”. In niches where distrust runs rampant, this can be a difference maker. Take this one with a grain of salt. Maybe it’s not appropriate for a SaaS company (though I think you’d be surprised what happens when you show the faces of your support team), and with eCommerce businesses, it may not make sense to shoehorn in. But, as with everything in CRO, test it. 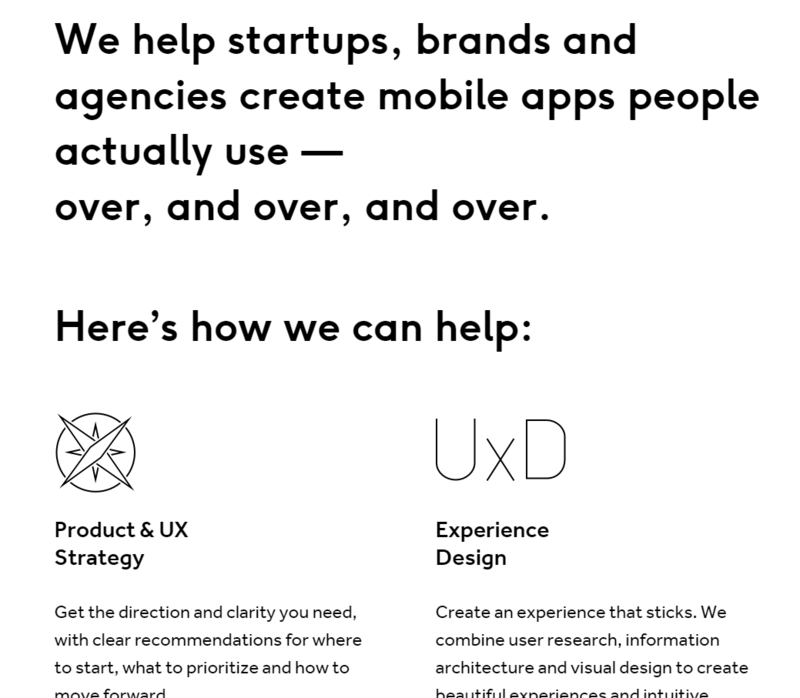 Above, evolving solutions show their faces where you’d expect them – the “About” page. Interestingly, though, there are two calls to action below each one – something I’m interested in seeing the data on clicks for. 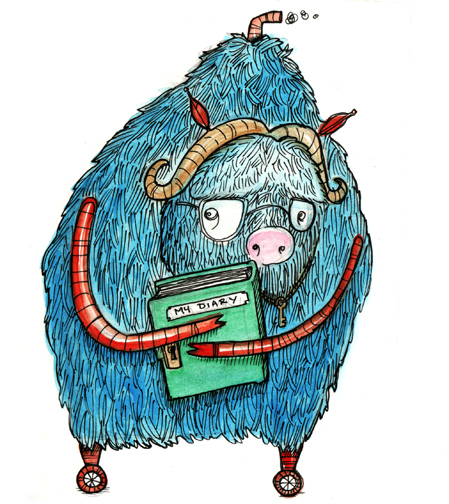 Is it possible that reading about the team is enough to make someone want to start their project right then and there? I don’t know – but I’d love to find out! Above, TopHatRank puts their staff front and center when someone comes to the home page, immediately proving they’re real people with a real business. What I love is that they named Sarah by name and put her title there, too – not leaving it to the reader to figure out that this isn’t stock photography. She’s also looking you right in the eye – lending confidence to the headline to the left. It’s a trust signal that’s impossible to miss. No social proof? No need to wait to launch. If you’re a new business or you just haven’t done your diligence on the social side, give these tactics a go- and always test the impact. Whenever you CAN get social proof, do so (here’s a quick piece on helping you collect better testimonials). What else could a company do to try and earn trust while they ramp up their social proof game? What things have you tried, or found useful in getting more customers? I’d love to hear in the comments, or chat about it @JoelKlettke on Twitter! Thanks for the useful insights. You are right about explaining the process. Many times you have so many questions that hold you back from taking the next step. Knowing the process will help to arrive at a quick decision. Having a well designed website using current technology and keeping the content up-to-date can go a long way in building credibility and trust. Other attributes that build trust include providing detailed information about the people behind the business, providing a free replacement or refund guarantee. Cheers, Aju – refunds and replacements can definitely help establish trust, too! I actually had that written into the original, but ultimately took it out to keep this a little shorter. Great thoughts! Definitely with you on using ‘process’ as a means to compensate for any lack of social feedback. This is especially true for high purchase decision based services such as hiring a web designer, marketing agency where people and process somewhat negate the overall cost. Great advice mate. Big YES on doing away with tech hyperboles. 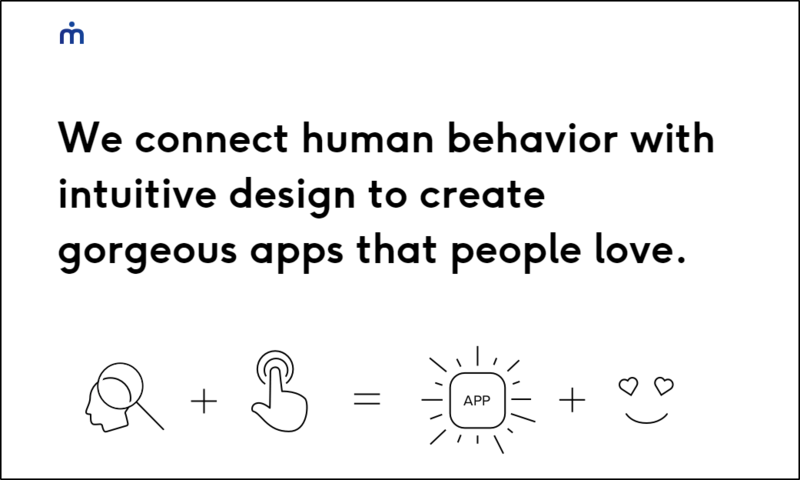 Startup folks, we know you sincerely believe that your app will revolutionize life (or death/aging, if you’re reading this, Google guys) as we know it. But the thing is, we consumers are exposed to hundreds of other people who feel the same way for their own products. Not everything has to be life-changing! I’ll buy your premise more and be willing to try your product if you just simply tell me what it does, and then actually do as you say. Hey Joel, this is really useful! Thanks for putting this together. I am already thinking on ways to include these in our landing page. I am so used to think in terms of “Showing the value ” that it’s great you are sharing here other psychological triggers that are also really important. I Liked them all, but specially #2 (Mirror their beliefs). Morning Joel. We should grab a coffee again soon. Solid post around being transparent. I’d consider adding a point around making your interactions more valuable. Rather than looking for Likes, Plusses and Favourites, I much prefer conversations. It’s amazing how much a short exchange online can reveal about your personality (and theirs). For sure Randy, I’d be down! Glad to hear it! Good luck, Mabia! Thanks for the brilliant insight on this article. I’ve been running in circles wondering whether to promote first or build my portfolio-site first and then promote. Reading your article cleared up my goals. Thanks! I stumble across your articles, and always end up finding great benefit in a topic that I didn’t even know I needed to learn about. Hey, I couldn’t find where to subscribe to your blog, so can you put me on the email blast? k thanks. This is gold! Thank you so much for these insights. I am a musician trying to make the transition into higher end wedding and corporate work and with the absence of social proof I knew I needed to provide something else to make the conversions. I will start working on these suggestions. Just make sure you DO start collecting social proof ASAP! Thank you! I’ve never had to deal with this issue before as a well known pro from a different industry. I know many fib (lie) dealing with this subject which is unthinkable. Refreshing to see a professional who has helped others address it share the expertise. With your permission and my citations, I’d love to refer you and the article when times arise. Thank you again! Absolutely, Greg! Thanks so much for dropping a line. It can be a tough challenge, but there are ways around it. Thanks much for the useful tips and techniques – must say, they are truly awesome! 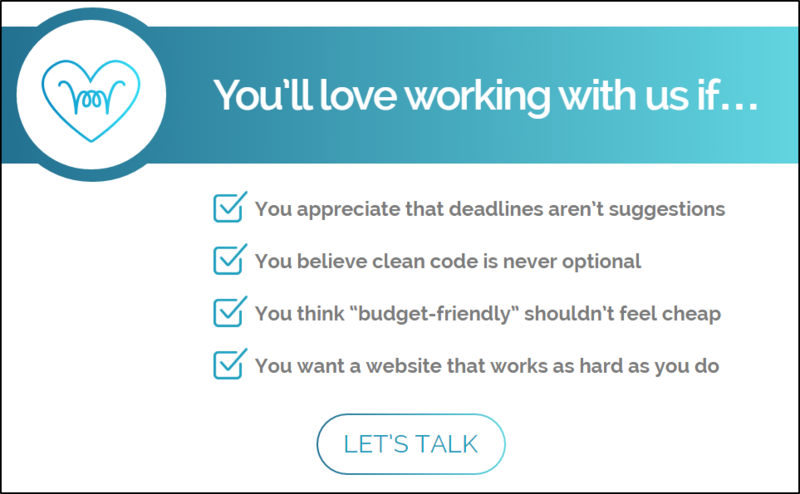 Especially, enjoyed “You’ll love working with us if:” example. It’s clear, clever and straight to the point. It’s one of those things that’s so easy to overlook. I’ve used it a bit on my site (which needs an update), extensively on LinkedIn – but there’s never a bad time to update/add.